Interesting design for those birds. A "counterweight" to keep it pointed radially huh? That's a low-tech solution to a high-tech problem. 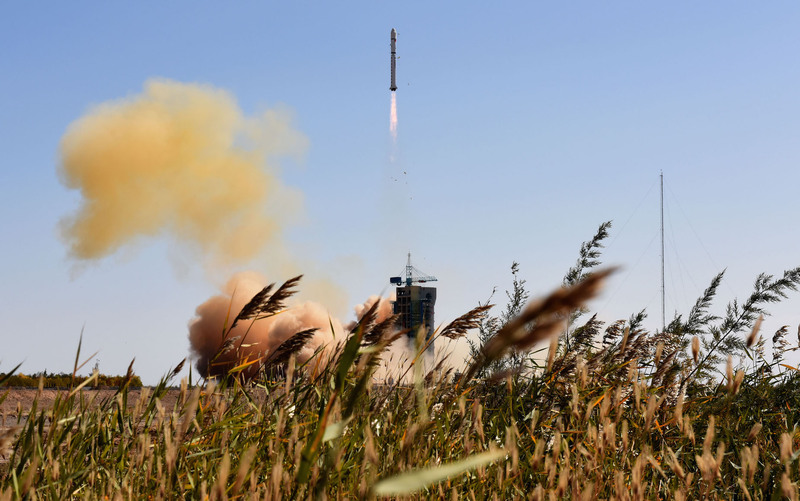 JIUQUAN, Gansu - China successfully launched a new model of carrier rocket, the Long March-11, at 9:41 a.m. Friday from the Jiuquan Satellite Launch Center in the northwestern province of Gansu. 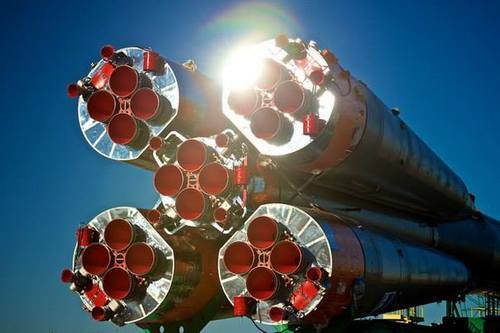 The rocket carried four micro-satellites into space, which will be used mainly for testing. The solid propellant rocket was developed by the China Academy of Launch Vehicle Technology with the China Aerospace Science and Industry Corporation. The rocket will mainly be used for launching micro-satellites. A statement from the academy said the successful launch of the rocket marked a major breakthrough for the nation in key technology for solid propellant rockets. The trip was the 211th mission for the Long March rocket family. India successfully launched Monday its first high-tech telescopes into space to study the stars, as New Delhi seeks to take another major step in its ambitious and low-cost space programme. "About 20 minutes after a perfect lift off at 10:00 am from our spaceport, the rocket has placed Astrosat in the intended orbit," mission director B. Jayakumar said at Sriharikota, about 90 kilometres (55 miles) from Chennai. India's Astrosat, which includes a telescope that uses x-ray, is expected to orbit 650 kilometres above the Earth and will send back data and study parts of the universe including black holes and the magnetic fields of stars. Astrosat, which reportedly cost 1.8 billion rupees ($27 million) to build, has been compared by local media to the famous Hubble telescope launched by NASA in 1990. But Astrosat is much smaller and has a limited life span of five years. India's successful and frugal Mars mission dominated newspaper front pages at the time and sparked huge pride in its home-grown space programme, while Modi hailed it as a sign of the country's technological potential. ISRO officials have declared the PSLV mission a total success in traditional post-launch speeches at the Satish Dhawan Space Center. ISRO reports all six secondary payloads from Indonesia, Canada and the United States have separated as planned. T+plus 22 minutes, 40 seconds. Astrosat separation confirmed in a very precise orbit 650 kilometers above Earth. Six small secondary payloads will release from the fourth stage in the next few minutes. T+plus 22 minutes. Fourth stage cut off confirmed. Standing by for Astrosat deployment. T+plus 21 minutes. The fourth stage engines will shutdown in about one minute to set up for deployment of the Astrosat spacecraft, which is scheduled for T+plus 22 minutes, 32 seconds. T+plus 20 minutes. The PSLV is now traveling at 6.87 kilometers per second and downrange distance is nearly 6,600 kilometers. T+plus 17 minutes. The fourth stage engines are now firing, generating nearly 3,300 pounds of thrust. T+plus 15 minutes. Standing by for ignition of the PSLV's fourth stage, which will fire for 4 minutes, 59 seconds. For this mission, engineers filled the fourth stage with 1.6 metric tons of hydrazine and nitrous oxide, short of the stage's 2.5-ton capacity. The fuel load means the stage will burn for a shorter time than most PSLV flights. T+plus 10 minutes. The PSLV's solid-fueled third stage has jettisoned, and the liquid-fueled fourth stage is set to ignite at T+plus 16 minutes, 57 seconds. T+plus 7 minutes. The PSLV's third stage has consumed its solid propellant supply, beginning a more than 10-minute coast phase before ignition of the fourth stage. T+plus 4 minutes, 45 seconds. The solid-fueled third stage has ignited after separation of the PSLV's second stage. This burn will last approximately 112 seconds. T+plus 2 minutes, 55 seconds. The 10.5-foot-diameter aluminum payload fairing has jettisoned now that PSLV has reached the thin upper atmosphere. The liquid-fueled Vikas second stage engine continues firing. T+plus 2 minutes, 15 seconds. ISRO confirms separation of the PSLV first stage and ignition of the second stage for a burn of two-and-a-half minutes. T+plus 90 seconds. The six ground-lit boosters have jettisoned. T+plus 30 seconds. Two strap-on boosters have ignited to give the PSLV an extra boost as it climbs into the sky atop more than 2 million pounds of thrust. Liftoff of a Polar Satellite Launch Vehicle with Astrosat, India's first dedicated astronomical satellite. T-minus 90 seconds. In the final minute, computers will prepare the PSLV for launch by arming its solid-fueled motors. PARIS — India’s PSLV rocket on Sept. 28 successfully placed the nation’s first astronomy satellite into a near-equatorial low Earth orbit along with six secondary payloads that included satellites owned by prospective competitors in commercial maritime surveillance. The Indian Space Research Organisation (ISRO) said the 1,513-kilogram Astrosat spacecraft was healthy in orbit. Operating from and orbit of 650 kilometers in altitude inclined six degrees relative to the equator, Astrosat is expected to deliver optical, ultraviolet and X-ray images of black holes and other phenomena in a five-year mission. 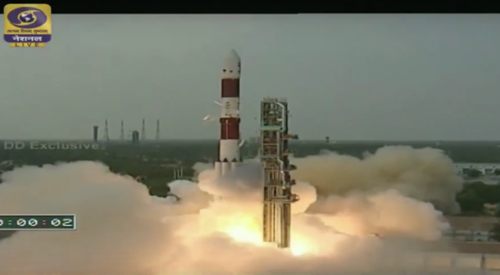 Launched from the Satish Dhawan Space Center on India’s east coast, the PSLV – which has developed a regular business in carrying foreign satellites into low Earth orbit – placed one Indonesian, one Canadian and four U.S. satellites into orbit. Indonesia’s LAPAN-A2 satellite was the biggest of the secondary payloads, weighing 76 kilograms and carrying an optical imager with a 4-meter ground resolution. The satellite was built by Indonesia’s National Institute of Aeronautics and Space. 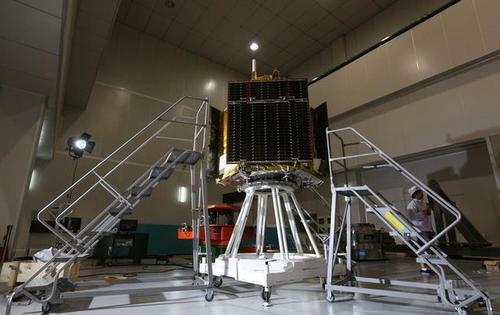 It follows the LAPAN-A1 satellite that was build under the leadership of the Technical University Berlin, with Indonesian engineers trained in Berlin in satellite construction. LAPAN-A2 also carries an Automatic Identification System (AIS) receiver to capture signals from ships and enable coastal-management agencies to determine ship identity, speed and heading beyond the reach of coastal radars. AIS is a capability common to all the secondary payloads on the Sept. 28 launch. Spire Global of San Francisco, which is fielding a constellation of cubesats to deliver GPS signal-occultation data for commercial meteorological use, is including AIS payloads on its spacecraft. The four 4-kilogram Lemur-2 satellites were successfully orbited, Spire said in a post-launch statement. Spire said it is the first U.S. cubesat owner to launch aboard the PSLV. Only recently, and with little fanfare, has the U.S. government relaxed its former policy of forbidding commercial satellites with U.S. parts to launch on India’s rockets because India had not agreed to sign an agreement with the U.S. on commercial-launch pricing. Skybox Imaging of Mountain View, California, owned by Google, has also contracted for multiple commercial imaging satellites to launch on the PSLV, and Airbus Defence and Space of Europe has launched the commercial Spot 6 and Spot 7 Earth observation satellites, both with U.S. components, on PSLV rockets. The four AIS-equipped Lemur-2 satellites will make Spire the third commercial entity to field an AIS constellation. Orbcomm of Rochelle Park, New Jersey, has equipped its second-generation machine-to-machine messaging satellite constellation with AIS receivers, and exactEarth of Cambridge, Ontario – majority-owned by Canada’s Com Dev – is developing a dedicated AIS business. The 5.5-kilogram exactEarth-9 satellite was aboard the PSLV rocket. Com Dev recently pulled a proposed initial public offer of exactEarth stock, citing overall market conditions, but has told investors that exactEarth will still receive the funds it would have drawn from the stock issue in the form of continued investment from Com Dev and Hisdesat of Spain, which owns a minority stake in exactEarth. The exactEarth EV9 satellite was injected into a good orbit, is healthy in orbit and is sending signals, company President Peter Mabson said Sept. 28. Satellite team members for Flight VA226’s Sky Muster and ARSAT-2 spacecraft passengers sign the respective logos on Ariane 5’s payload fairing, adding a personal touch during final preparations for the upcoming mission. Arianespace’s dual-payload mission with telecommunications satellites to serve Australia and Argentina has been approved for liftoff on Wednesday at the Spaceport, providing the go-ahead for its fifth heavy-lift flight in 2015 and the ninth overall from French Guiana this year using the company’s complete launcher family. The September 30 liftoff was authorized at completion of today’s launch readiness review, which confirmed the status of Ariane 5, its Sky Muster and ARSAT-2 spacecraft passengers, the Spaceport’s infrastructure, and a network of ground stations that will track the launcher’s trajectory. With the go-ahead, Ariane 5 will be transferred tomorrow from the Spaceport’s Final Assembly Building to the ELA-3 launch zone, where the vehicle will be positioned for liftoff on September 30 during a launch window that opens at 5:30 p.m. and continues until 7:15 p.m. (local time in French Guiana). The mission is designated Flight VA226 in Arianespace’s launcher family numbering system, notating the 226th Ariane launch since this series of European-built vehicles began operation in 1979. Wednesday’s mission will be the 82nd launch of an Ariane 5 from French Guiana, where the vehicle is operated alongside Arianespace’s medium-lift Soyuz and lightweight Vega. As part of Flight VA226’s final activity, members of the Sky Muster and ARSAT-2 teams signed spacecraft logos that are affixed to Ariane 5’s protective payload fairing. This step “personalized” the launcher in recognition of the efforts that have prepared these two payloads for the ride into orbit and their subsequent service startup. Located in Ariane 5’s upper passenger position is Sky Muster, which will deliver broadband services from geostationary orbit to more than 200,000 rural and remote Australians, providing coverage across the country – including the Norfolk, Christmas, Macquarie and Cocos islands. 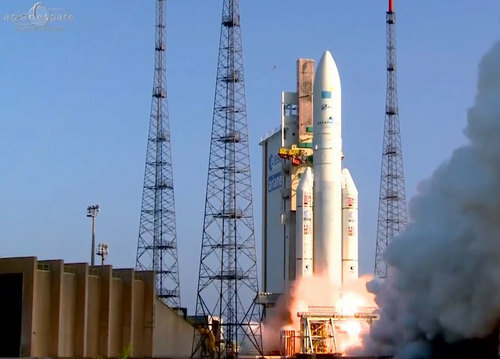 As the initial satellite to be orbited by Arianespace for nbnTM, Sky Muster has an estimated liftoff mass of 6,440 kg. and was built by SSL (Space Systems Loral). nbn is owned by the Commonwealth of Australia and the company’s objective is to ensure all Australians have access to fast broadband as soon as possible, at affordable prices and at the least cost to taxpayers. ARSAT-2 is installed in the lower payload position on Ariane 5. This satellite was built under the responsibility Argentina’s INVAP and will be operated by the state-owned Argentinian operator ARSAT to provide direct-to-home television (DTH), Internet access services for reception on VSAT antennas, along with data transmission and IP telephony. It has a liftoff mass of approximately 2,975 kg. The first Indian astronomy satellite Astrosat (http://astrosat.iucaa.in) was launched on 28 September 2015 by the Indian Space Research Organisation (ISRO) from Sriharikota on a PSLV (Polar Satellite Launch Vehicle) rocket. Astrosat has unprecedented capability to simultaneously observe cosmic objects in visible light, the ultraviolet waveband and the entire X-ray waveband from very low energy to very high energy X-rays. This unique ability to observe the universe in multi-wavelengths, simultaneously, is aimed at performing cutting-edge research in astrophysics. Researchers from the Tata Institute of Fundamental Research (TIFR) have led this multi institutional effort and have made significant contributions to the design, fabrication and development of three out of five payloads that are on board Astrosat. The Large Area Xenon Proportional Counters (LAXPC), a Soft X-ray Telescope (SXT), and a Cadmium-Zinc-Telluride Imager (CZTI), all of which will observe the universe in the X-ray wavebands, are the three payloads built in the Department of Astronomy and Astrophysics (DAA) of TIFR Colaba, Mumbai. These instruments demonstrate a major Indian technological advance. In addition, DAA/TIFR has significantly contributed to the twin Ultraviolet Imaging Telescopes (UVIT) on board Astrosat. 'The instruments developed by TIFR will give us a capability unrivaled in the world for the next 5 to 10 years. We look forward to some great science results' says Prof. S. Trivedi, Director TIFR. Cosmic objects (stars, galaxies, quasars etc.) emit in multiple wavebands. Therefore, in order to unravel their mysteries it is essential to observe them in as many wavebands as possible. As X-rays and ultraviolet (UV) energy from cosmic objects cannot penetrate the Earth's atmosphere, suitable instruments must be sent above the atmosphere by satellites. TIFR has been a pioneer in X-ray astronomy research in India. Soon after the discovery of the first extra-solar X-ray source in 1962, TIFR scientists built X-ray instruments for astronomical research, and sent them above the atmosphere by sub-orbital rockets and balloons. Astrosat is a legacy of these activities. As Prof. P.C. Agrawal, one of the lead scientists who gave shape to the concept of this mission, says, 'Astrosat is a quantum leap from previous modest sized payloads on other Indian satellites. It is an internationally competitive observatory that will enable Indian scientists to work in frontier areas of high energy physics'. The LAXPC detectors with the largest collecting area among any X-ray instrument ever built in the world, have been fully fabricated at TIFR, by a series of leaders, namely Prof. P.C. Agrawal, Prof. R.K. Manchanda, Prof. J.S. Yadav, and Prof. H.M. Antia. For the next 5 to 10 years LAXPC will be the only instrument in the world that will be able to study X-ray intensity fluctuations of cosmic objects on time scales as small as a millisecond. This will be essential to probe the fundamental physics of exotic objects, like black holes and super-dense neutron stars. The SXT is the first X-ray focusing telescope built in India. The SXT will conduct imaging and X-ray spectroscopy of hot plasma in cosmic sources and the absorption of x-rays by intervening matter. The SXT team at TIFR, overcame major challenges in building and assembling the mirrors of this X-ray telescope. 'It is common knowledge that X-rays easily penetrate through materials but it is extremely difficult to focus x-rays with a telescope. Placing the 320 mirrors in the telescope, required great precision,' says Prof. K.P. Singh, lead scientist of the SXT team. The focal plane camera for the SXT containing a cooled charge coupled device (CCD) was built in collaboration with the University of Leicester (UK). The CZTI, will image celestial objects in the high-energy X-ray band using a coded mask. It has the ability to also perform unique polarization measurements in very high energy X-rays. Built under the leadership of Prof. A.R. Rao of TIFR, the team overcame several challenges to ensure a uniform response from a large number of detectors, as the development of such detectors and electronics for use in high-energy X-ray imaging is a recent technology. Scientific data obtained through Astrosat will be distributed from a few payload operation centers (POC), two of which will be located at TIFR. These two POCs, will control the operations of SXT and LAXPC, making DAA/TIFR a major center of worldwide X-ray astronomical activities for the next few years. Astrosat will be available to the Indian astronomy community as an observational opportunity. It will address fundamental scientific problems that cannot be probed in terrestrial laboratories. These will include testing Einstein's general theory of relativity, studying superdense cold matter deep inside a neutron star which is a fundamental problem of particle physics, and understanding flow of matter in astronomical scales, often in extremely strong gravity regions, relativistically accelerated plasma jets, extremely hot ionized plasmas, and absorption by cold matter. Astrosat will observe a variety of objects in the universe, such as black holes, neutron stars, white dwarfs, explosive events like supernovae, stars, galaxies, and clusters of galaxies. The Progress M-29M becomes the fourth Russian cargo ship heading to the International Space Station, ISS, in 2015. The spacecraft has a production number 429 and it is also known in the ISS flight manifest as Mission 61P. The ship is expected to be the final vehicle in the series, before the planned introduction of the modified variant known as Progress-MS later this year. 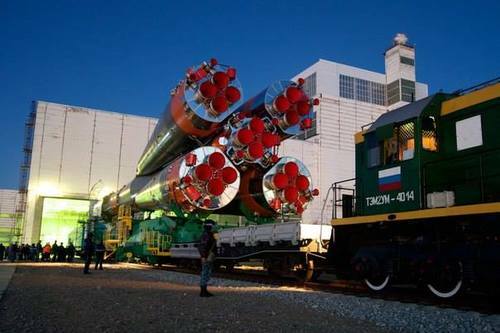 A Soyuz-U rocket with the Progress M-29M cargo ship rolls out to the launch pad on Sept. 29, 2015. According to Roskosmos, Progress M-29M will carry a total of 2,369 kilograms of provisions, including 1,549 kilograms of dry cargo, 350 kilograms of propellant, 420 kilograms of water, 50 kilograms of pressurized oxygen, as well as other supplies and repair gear. The launch was previously scheduled for Sept. 21, 2015, but by the end of July, the mission had to be postponed to October 1, as part of the ISS manifest adjustment. 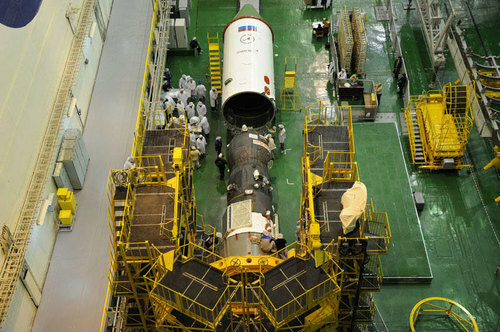 The first and second stages of the Soyuz-U launch vehicle for the mission were integrated inside the processing building at Site 112 by the end of July 2015. The Progress M-29M spacecraft loaded with its onboard propellant arrived to the processing building at Site 254 on Sept. 22, 2015. Within two days, it was integrated with the launch vehicle adapter and on Sept. 25, the ship was covered with a payload fairing. Two days later, the fully encapsulated spacecraft was moved to Site 112 for integration with the launch vehicle. On September 28, the spacecraft and the rocket were mated together. The launch vehicle was rolled out to the launch pad No. 5 at Site 1 in Baikonur on the morning of Sept. 29, 2015. The liftoff of the Progress M-29M spacecraft is scheduled for Oct. 1, 2015, at 19:49:40 Moscow Time (12:49 p.m. EDT) from Pad No. 5 at Site 1 in Baikonur. 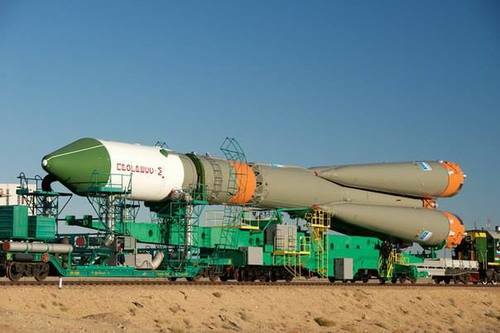 The 7,290-kilogram cargo ship will ride the Soyuz-U rocket into orbit. 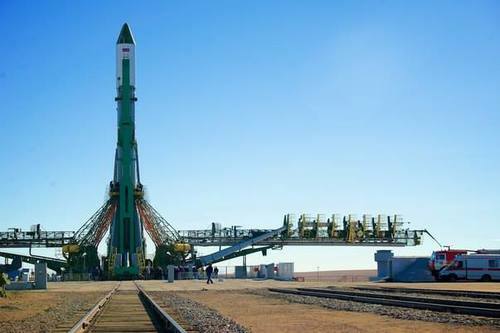 Following the vertical liftoff, the launch vehicle will head eastward from Baikonur to match an orbital inclination of 51.66 degrees. The spacecraft should separate from the third stage of the launch vehicle into a 193 by 245-kilometer parking orbit at 19:58:29.18 Moscow Time (12:58 p.m. EDT). Without any additional maneuvers, the spacecraft is expected to maintain its orbital velocity for 20 revolutions around the Earth or 30 hours, before the orbit decays as a result of the atmospheric friction, mission control estimated. At the time of the cargo ship's orbital insertion, the ISS was expected to circle the Earth in a 400 by 421 kilometers orbit, around 30.4 degrees away. However on Sept. 27, 2015, at 12:06 Moscow Time (5:06 EDT), the station had to make an urgent space-junk avoidance maneuver, just two hours 35 minutes before a possible close encounter. The engine firing conducted byProgress M-28M spacecraft docked at the ISS lasted 299 seconds and delivered 0.3 seconds to the station's velocity. The maneuver placed the outpost's apogee at 421.16 kilometers. Fortunately, the ISS was located well within phasing angle for the rendezvous with Progress M-29M, and the small maneuver did not cancel the opportunity for the same-day docking with the incoming cargo ship. The cargo ship should reach the vicinity of the station during its fifth orbit and to begin a fully autonomous rendezvous process at 23:45:57 Moscow Time on October 1 (4:45 p.m. EDT). Progress M-29M is scheduled to dock at the aft port of the Zvezda Service Module, a part of the Russian segment on the ISS, on Oct. 2, 2015, at 01:54:34 Moscow Time (It will be 6:54 p.m. EDT on October 1). Progress M-29M is about to be covered with launch vehicle fairing on Sept. 25, 2015. Integration between payload section and the launch vehicle of the Progress M-29M spacecraft on Sept. 28, 2015. 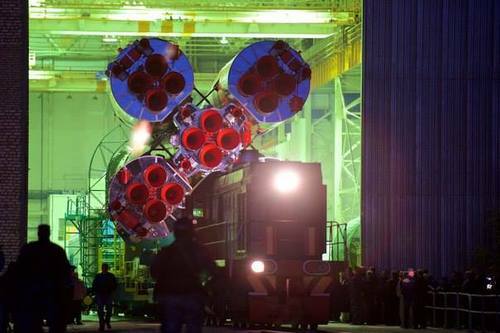 Soyuz-U with Progress M-29M shortly after installation on the launch pad on Sept. 29, 2015. WASHINGTON — The U.S. Missile Defense Agency in August formally retired a once-controversial experimental satellite designed in part to characterize rocket exhaust plumes, steering the spacecraft eventually toward atmospheric re-entry, manufacturer Orbital ATK announced Sept. 28. The Near-Field Infrared Experiment, or NFIRE, was built at Orbital ATK’s Gilbert, Arizona, facility and launched in April 2007 aboard a Minotaur rocket from Wallops Island, Virginia. 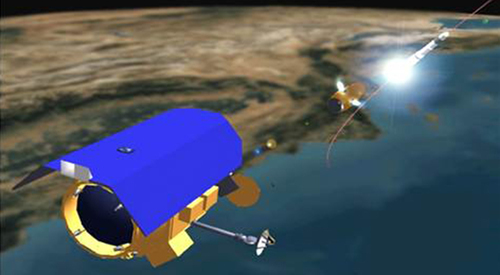 The satellite’s primary payload was the Track Sensor Payload, designed to collect data on missile launches in various types of environments and weather conditions. Originally the NFIRE satellite was also supposed to carry a demonstration kill vehicle, a projectile-firing experiment that raised concerns among some arms control advocates that the mission was a step toward placing weapons in space. Eventually that aspect of the mission was abandoned, and in its place the satellite hosted a laser communications link supplied by Germany. That payload communicated with ground sites and with an identical laser link aboard Germany’s TerraSAR-X radar Earth observation satellite. NFIRE was originally designed to operate for one year but received several one-year extensions. Its decommissioning entailed three onboard thruster firings to lower the satellite to an orbit that will lead to atmospheric re-entry, Orbital ATK of Dulles, Virginia, said. “From November 2008 to April 2015, NFIRE successfully executed more than 950 inter-satellite and satellite-to-ground laser communications links with its Laser Communications Terminal,” Tawnie Harrison, Orbital ATK’s NFIRE program manager, said in a prepared statement. Today's launch was the ninth of the year in nine months, a record for the Arianespace launcher family, and the fifth of the year and 68th successful launch in a row for the Ariane 5 heavy launcher. It lifted off at 5:30 p.m. local time from the Guiana Space Center (CSG) in Kourou, French Guiana. Arianespace is proud of its role in providing sustained support for these two new regional operators, based in two great southern hemisphere nations, whose primary goal is to deliver the benefits of space to all of their citizens. Arianespace is especially proud of being chosen to launch the Australian operator nbn's first satellite. Sky Muster will help reduce the digital divide on this nation-continent, by guaranteeing high-speed Internet access to more than 200,000 Australians living in rural and isolated areas of the country. It will cover the entire country, including Norfolk, Christmas, Macquarie and Cocos islands. Sky Muster is the 52nd geostationary platform built by SSL (and predecessors) to be orbited by Arianespace, which has 13 more satellites from this manufacturer in its launch manifest. ARSAT-2 is the second satellite for the state-owned telecommunications company, ARSAT, and will enable Argentina to further develop and consolidate its own space telecom system. ARSAT-2 will cover the Americas, providing direct-to-home (DTH) TV transmissions, Internet access via VSAT antennas, data transmission and IP telephony services. ARSAT-2 is the second geostationary satellite to be built and operated by Argentina. The company INVAP was in charge of its design and integration, as well as the production of certain components. With the launch of these two strategic satellites for two great nations from the southern hemisphere, Australia and Argentina, Arianespace confirms its goal of providing its customers with the best possible transport solutions to help space-based systems improve life on Earth. Shortly after the announcement that the two satellites had been injected into orbit, Arianespace Chairman and CEO Stéphane Israël said: "We are especially proud of our mission success this evening for two regional operators in the southern hemisphere, nbn and ARSAT, and we have already established real partnerships with both customers. With 400 satellites launched since its beginning, the Ariane family can celebrate a real 'Triple A' achievement this evening for Australia, Argentina and Arianespace. Thanks go to our clients for their confidence, and bravo to SSL and INVAP for their contributions to this success. "This evening also marks the ninth launch in nine months for our family of launchers, in line with our goal of carrying out 12 launches in 2015. I would like to thank all our partners who have contributed to this 68th consecutive successful launch of Ariane 5: ESA, responsible for the Ariane program; all European companies who contribute to Ariane under the direction of industrial prime contractor Airbus Safran Launchers; CNES-CSG and companies at the launch base; and of course the men and women of Arianespace, who continue to demonstrate their commitment and professionalism." Arianespace announced today that it has signed a contract with the Argentinean operator ARSAT (Empresa Argentina de Soluciones Satelitales Sociedad Anónima) to launch its next geostationary satellite, ARSAT-3, plus options on two more launches. This strategic long-term agreement follows last year's successful launch of ARSAT-1 on October 16, 2014, and comes a few hours before the launch of ARSAT-2. It will cover Argentina's satellite launch requirements until 2023. With a liftoff mass of approximately 3,000 kg., ARSAT-3 will be the first satellite launched, delivered to geostationary transfer orbit in 2019. It will be injected by an Ariane 5 from the Guiana Space Center, Europe's Spaceport in French Guiana. The two options involve two geostationary satellites that are similar to ARSAT-3, and for which their launches are planned for the 2020-2023 timeframe. These new ARSAT satellites will complement the services already offered by ARSAT-1 and soon ARSAT-2. They will provide a wide range of telecommunications services, including data transmission, telephony and television broadcasting. Following the signature of this contract, ARSAT Chairman and CEO Matias Bianchi said: "Today, we have once again chosen the world's most reliable launch service provider, Arianespace, to orbit our upcoming satellite, thereby strengthening Argentina's dual role as constructor and operator. Through these planned new satellite, ARSAT supports Argentina's policy for the development of the national satellite industry, as expressed in the bilateral space cooperation agreement signed this morning by the Argentine Minister of Planning, Mr Julio De Vido, and the French ambassador to Argentina, his highness Jean-Michel CASA." Stéphane Israël, Chairman and CEO of Arianespace, added: "I would like to thank ARSAT for entrusting Arianespace with the launch of its future satellites. Today's contract, and the two associated options, bolster the strong partnership that we've had for more than five years. We also are very proud that this contact comes the same day as the signature of an agreement between France and Argentina for a broad space cooperation." A Progress supply craft loaded with 3.1 tons of cargo lifted off Thursday from Kazakhstan, launching on a six-hour pursuit of the International Space Station culminating with a smooth docking to the research lab’s aft port. Launch occurred at 1649:40 GMT (12:49:40 p.m. EDT) from the Baikonur Cosmodrome. Liftoff was timed for almost exactly the moment the space station’s orbital pathway passes over the historic Central Asia spaceport. 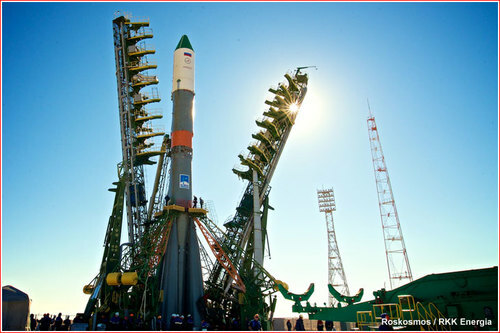 The three-stage Soyuz rocket boosted the 8-ton supply ship northeast from Baikonur, where launch occurred at 10:49 p.m. local time at the launch base. The Soyuz shed four strap-on liquid-fueled boosters, and a core stage and upper stage powered the Progress M-29M supply craft into a preliminary orbit. The Progress M-29M spaceship docked with the space station’s Zvezda service module at 2252 GMT (6:52 p.m. EDT) after a four-orbit rendezvous sequence following launch from Baikonur. The two vehicles linked up as they sailed 252 miles over the North Atlantic Ocean. The mission is Russia’s 61st Progress resupply flight to the International Space Station, and is known as Progress 61P in the station’s manifest of visiting vehicles. 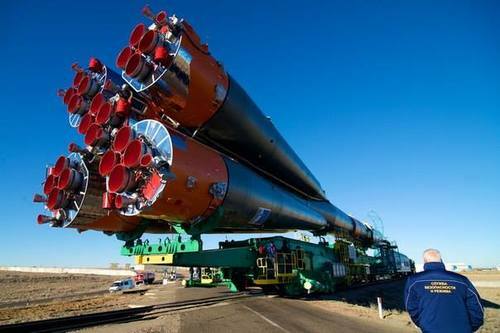 Russian ground crews rolled the Progress spacecraft’s Soyuz booster to the launch pad at Baikonur on Tuesday, then erected the rocket vertical before vertical access platforms moved into place for final pre-launch preparations. NASA says the Progress spacecraft’s pressurized section is packed with 3,397 pounds of dry cargo, including Russian food rations, sanitary napkins and waste containers, medical equipment, water purification hardware and electronics. NASA also has about 190 pounds of food and provisions for the U.S. crew members aboard the outpost, according to a manifest published on the Russian space agency’s website. The Progress M-29M spaceship will refuel the space station’s Zvezda service module with 4,277 pounds of propellant. The mission will also deliver 2,041 pounds of water and 242 pounds of oxygen to replenish the atmosphere inside the orbiting outpost. 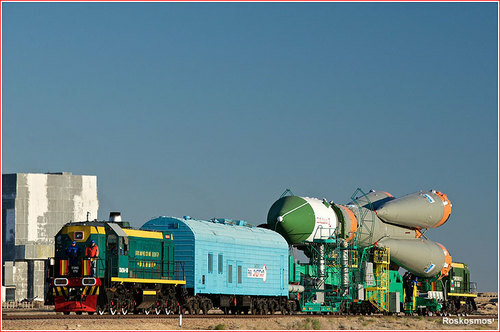 Cosmonauts plan to open hatches leading to the newly-arrived Progress supply ship Friday to begin unpacking its contents. The cargo capsule will remain docked to the station until around Dec. 9, when it will depart and burn up in Earth’s atmosphere to dispose of trash. According to NASA officials, all antennas and solar panels onboard the spacecraft were successfully deployed. Without any additional maneuvers, the spacecraft was expected to maintain its orbital velocity for 20 revolutions around the Earth or 30 hours, before the orbit decays as a result of the atmospheric friction, mission control estimated. The cargo ship was scheduled to reach the vicinity of the station during its fifth orbit and to begin a fully autonomous rendezvous process at 23:45:57 Moscow Time on October 1 (4:45 p.m. EDT). The docking at the aft port of the Zvezda Service Module, a part of the Russian segment on the ISS, was expected on Oct. 2, 2015, at 01:54:34 Moscow Time (It will be 6:54 p.m. EDT on October 1). Following a flawless rendezvous process, Progress M-29M docked at the ISS two minutes early, at 01:52 Moscow Time on October 2 (6:52 p.m. EDT), as the orbital outpost was flying over the Northern Atlantic. A replay of the United Launch Alliance Atlas 5 rocket launching Mexico’s Morelos 3 communications satellite from Cape Canaveral, Florida. What he's up to is singing a chorus of "Poor Poor Pitiful Me," hoping Congress will feel sorry for ULA and let it buy more RD-180's for Air Force launches. Bruno can cry all he wants, they aren't going to lift the ban. They had time and funding to R&D new engines, and squandered both ... Congress is not happy. The last few comments from Senator McCain concerning ULA were quite ... colorful. 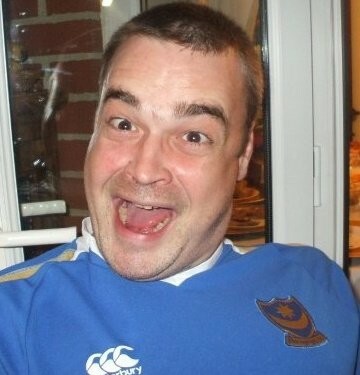 Quite right. For over a decade, as a sole source provider, exorbitant launch fees, guaranteed annual access to space handout (right...), huge parent companies, who themselves, make a lucrative business in wares..... and no thought to procuring/providing a home source launcher/engines combo for North America. They deserve to be brought back to reality. Some people derided McCain in the early years, as being a zealot at times, But I have always liked him due to the fact that he is a "straight shooter"...tells it like it is...and calls someone out, when needed.....we need more people like him....no flipping fish...Later.. Bids are due next month, and the contract is expected to be awarded in March. Leon would not say how much it is expected to be worth but that officials anticipate it to be lower than the average of $140 million per launch the Pentagon pays ULA under the current sole-source contract. ULA won't be getting that average figure anymore...and must stay competitive with SpaceX.....ULA will loose that bid on purpose, to garner sympathy...but more importantly...not to loose money, because ULA can't launch as cheap as SpaceX period....I would have to guess, but would 70 Million or less, be SpaceX's fee? PARIS — The French government’s two aerospace-focused agencies on Oct. 2 said they are pooling resources to study a launching system that would return its entire first stage to Earth for reuse, a goal shared by SpaceX but not one being pursued by Europe’s Airbus Defence and Space rocket prime contractor. Earlier this year, Airbus disclosed that it had been working on a reusable design that would separate the rocket’s first-stage engines and part of the avionics suite for a return to Earth and later reuse. Airbus said the value of the first stage lies mainly in its engines and that returning the entire first stage for refurbishment and reuse would not improve the economics of launching satellites. More recently, United Launch Alliance of Centennial, Colorado, disclosed a similar reusability scenario for its future Vulcan rocket. The first-stage engine block would separate from the lower stage and later be recovered for reuse. Hawthorne, California-based SpaceX has already begun attempts to recover its Falcon 9 rocket’s first stage. 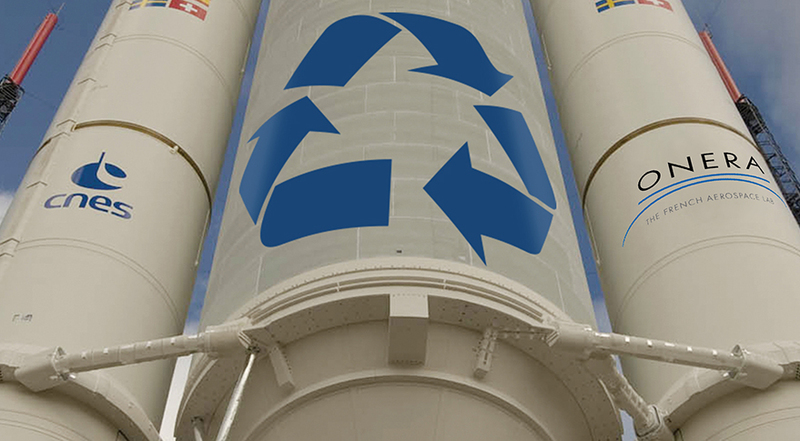 CNES has been working on reusability options for years, but none of them has moved beyond the early design phase. It is not clear that its latest collaboration with ONERA will go further. For now, it is restricted to studies on digital aerothermodynamic simulations. “The expertise of CNES and ONERA in launcher design and hypersonic and subsonic vehicles will be mobilized” for the work on reusable rocket designs, the two agencies said. The two agencies said they would decide in 2016 whether to deepen their collaboration based on results from the initial work. Their concept is just to fly back the engines to a runway using wings and small jet or prop engines. More sensible and safer than Boeing's idea of snatching them and their chutes out of the sky, risking a chopper crew. The Japanese space agency has selected Ryugu as the name of an asteroid pursued by the country’s Hayabusa 2 space probe, naming the object after a dragon’s palace in an ancient Japanese fairy tale, officials said Monday. A selection committee picked the name Ryugu from 7,336 entries proposed by the public. The asteroid was previously known as 1999 JU3, and the new name has been submitted to the International Astronomical Union to be added to the global scientific body’s registry, according to the Japan Aerospace Exploration Agency. Ryugu is the name of an undersea dragon’s palace visited by Urashima Taro, a fisherman in a Japanese folk story who brings back a mysterious treasure box from the underwater castle. “The theme of ‘bringing back a treasure’ is common as the Hayabusa 2 will also bring back a capsule with samples,” JAXA said in a statement. Asteroid Ryugu was discovered by U.S. scientists in 1999 and measures approximately 900 meters — about 3,000 feet — across. When it arrives at Ryugu in June 2018, Hayabusa 2 will make the first visit to the object and attempt to retrieve rock specimens for return to Earth in 2020. Hayabusa 2 launched Dec. 3, 2014, and is heading for gravity assist flyby of Earth in December, which will slingshot the solar-powered spacecraft toward its rendezvous with Ryugu in 2018. The mission carries four small landers — three from Japan and one from Germany — it will drop to the asteroid’s surface during a year-and-a-half of operations in Ryugu’s vicinity. Each probe has mechanisms to allow them to hop around the asteroid. Hayabusa 2 is Japan’s second asteroid sample return mission. 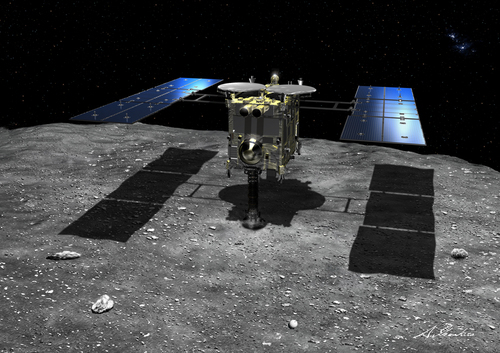 The Hayabusa project visited asteroid Itokawa — named for Hideo Itokawa, a pioneer in Japan’s space program — in 2005, but technical problems prevented the spacecraft from gathering the intended samples. Hayabusa successfully landed back on Earth in 2010, and scientists harvested microscopic specimens from the return capsule. NASA plans to launch its first asteroid sample return probe in September 2016. Named OSIRIS-REx, the mission will rendezvous with asteroid Bennu, about half the size of Ryugu, and fly back to Earth with rock fragments in 2023. Bennu was named for a mythological Egyptian bird in a competition among U.S. schoolchildren. "There's a really interesting psychology surrounding getting that perspective, which is why we called [the company] World View," MacCallum added. World View passengers will ride aboard a pressurized capsule that accommodates six paying customers and two crewmembers. A huge, helium-filled balloon will loft the 10,000-lb. (4,535 kilograms) capsule to the stratosphereduring a gentle ascent that takes 90 minutes to 2 hours. The launch site for these flights is unclear at the moment; the company is currently deciding between Florida and Arizona, MacCallum said. The entire flight will last for five or six hours. The distance between launch and landing sites could be as great as 300 miles (480 kilometers), depending on winds, World View representatives say. The balloon experience will be very different from the suborbital spaceflights that Virgin Galactic and XCOR Aerospace plan to offer with their in-development rocket planes, which are called SpaceShipTwo and Lynx, respectively. For starters, World View is cheaper: tickets for the six-passenger SpaceShipTwo and the one-passenger Lynx are currently selling for $250,000 and $100,000, respectively (though Lynx rides will cost $150,000 starting on Jan. 1, 2016). 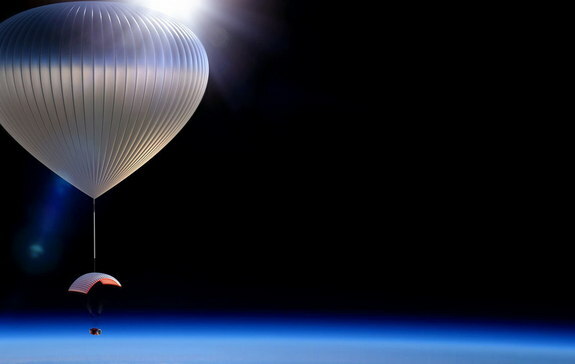 In addition, World View's balloons will float gently through the atmosphere, while SpaceShipTwo and Lynx will give customers a pulse-pounding rocket ride. The two space planes will also go much higher than World View — about 62 miles (100 kilometers) above Earth, the traditionally accepted boundary where outer space begins. World View is not starting from scratch. The company is leveraging the technology developed for the StratEx (Stratospheric Exploration) program, which set the record for highest-ever skydive in October 2014 when Google executive Alan Eustace jumped from a balloon 135,908 feet (41,425 m) above the New Mexico desert. StratEx "was really a foundational project for World View, to run through essentially all the phases of flight that we would have with a capsule, only in a one-person version," MacCallum said. "It was essentially a scale model." The basic pieces of World View's flight system have therefore mostly been developed, and the work left to do before commercial operations can begin involves adapting, integrating and testing them. Such efforts are already underway. In February, for example, World View flew a parafoil to an altitude of 102,200 feet (31,150 m), two times higher than the previous record for parafoil flight. The company plans to perform a test drop from 100,000 feet with a 10 percent scale model — that is, a payload that weighs 1,000 lbs. (454 kg) — in the next week or so. A full-scale test drop should follow by the end of the year or early 2016, MacCallum said. If everything goes well, the first crewed test flights will take place in early to mid-2017, he added, with commercial operations beginning in late 2017. World View also conducts uncrewed balloon flights for scientific purposes; the company has already lofted payloads for NASA and other customers. The experience gained via these efforts should help the company manage its crewed operations, MacCallum said. It's unclear when SpaceShipTwo and Lynx will be up and running. SpaceShipTwo has conducted four rocket-powered test flights, but the most recent one, in October 2014, ended in tragedy; the vehicle broke apart in mid-air, killing co-pilot Michael Alsbury and seriously injuring pilot Peter Siebold. The first Lynx test flights could come later this year, XCOR representatives have said. 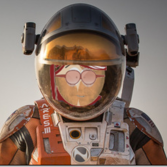 The 'entry drug' for space tourism? World View hasn't really begun trying to sell tickets for its stratospheric tours yet, MacCallum said. But he isn't too worried about finding enough takers, citing Virgin Galactic's success in garnering hundreds of deposits for future SpaceShipTwo flights. "We really don't think that tickets are going to be an issue at this point," MacCallum said. "We think we're going to be limited by the number of operations we safely feel like we can conduct for the first few years, not available people who want to fly." Indeed, MacCallum believes the space tourism market is big enough for World View, Virgin Galacitc and XCOR to co-exist peacefully and profitably, especially since World View is doing something so different. "I actually think the balloon experience is probably like the entry drug," MacCallum said. "What's nice about that is, they [customers] have already had the time to contemplate the view, so then when you go do the Virgin Galactic or the XCOR experience, you can enjoy the rocket ride." Ball Aerospace, prime contractor for NASA's Green Propellant Infusion Mission (GPIM), has integrated the propulsion subsystem onto the BCP-100 spacecraft bus and begun system performance and environmental testing as the project heads toward a 2016 launch date. The Green Propellant Infusion Mission (GPIM) is a planned NASA technology demonstrator project that will test a high-performance, high-efficiency alternative to conventional chemical propulsion systems for next-generation launch vehicles and spacecraft. The fuel may offer many advantages for future satellites, including longer mission durations, additional maneuverability, increased payload space and simplified launch processing. The GPIM is managed by NASA's Marshall Space Flight Center in Huntsville, Alabama, and is part of NASA's Technology Demonstration Mission Program within the Space Technology Mission Directorate. The Green Propellant Infusion Mission is scheduled to launch aboard a SpaceX Falcon Heavy rocket in 2016, on a test mission called Space Test Program 2 (STP-2). The cost of the program is projected to be approximately $45 million. The propellant for this mission is hydroxylammonium nitrate (NH3OHNO3) fuel/oxidizer blend, also known as AF-M315E.Preliminary data indicates that it offers nearly 50% higher performance for a given propellant tank volume compared to a conventional monopropellant hydrazine system. The Green Propellant Infusion Mission seeks to improve overall propellant efficiency while reducing the toxic handling concerns associated with the highly toxic propellant, hydrazine. The new propellant is an energetic ionic liquid. Ionic liquids are salt compounds in a liquid form whose molecules have either a positive or negative charge, which bonds them together more tightly and makes the liquid more stable. This new propellant is also expected to be significantly less harmful to the environment. It is called a "green" fuel because when combusted, AF-M315E transforms into nontoxic gasses. The AF-M315E propellant, nozzles and valves are being developed by the Air Force Research Laboratory (AFRL), Aerojet Rocketdyne, and Glenn Research Center, with additional mission support from the U.S. Air Force Space and Missile Systems Center and NASA's Kennedy Space Center. The four satellites, all made in China, will look down on Earth to collect high-resolution imagery, high-definition video and test new Earth observing technologies, according to Chinese space authorities. The package of Jilin 1 satellites lifted off at 0413 GMT (12:13 a.m. EDT) from the Jiuquan space base near the border of China’s Gansu and Inner Mongolia provinces in the Gobi desert, the official Xinhua news agency reported. The two-stage rocket, standing 13 stories tall, bolted into space to deploy the four satellites in a near-circular orbit about 650 kilometers — approximately 400 miles — above Earth at an inclination of 98 degrees, U.S. military tracking date indicated. The largest of the satellite quartet is about the size of a compact car, and it reportedly has a top resolution of about 0.7 meters, or 2.3 feet, in its black and white imaging mode. Three smaller satellites also launched Wednesday, two for video capture and one for engineering tests. 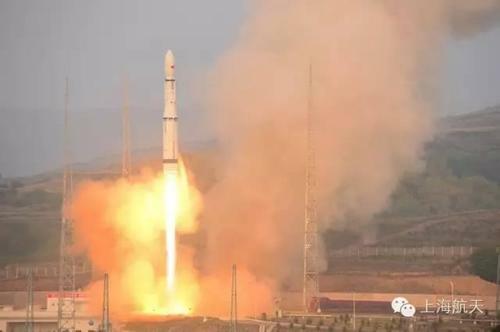 Xinhua reported all four satellites were built by Chang Guang Satellite Technology Co. Ltd. The orbiters have rapid imaging capabilities and three-dimensional observing functions, according to the Chinese Academy of Sciences. 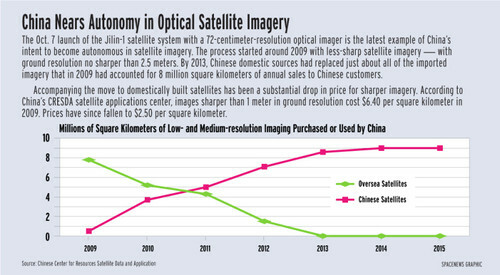 Chang Guang, a division of China’s state-owned Changchun Institute of Optics in the northeastern Jilin province, will take over commercial exploitation of the satellites, which are China’s first commercial remote sensing spacecraft. The company plans to sell imagery to clients in China and overseas, serving markets for resource monitoring and disaster prevention. SpaceIL Chief Executive Eran Privman said in an Oct. 7 phone interview that he chose the SpaceX launch opportunity after an extensive search. “We tried everyone around the world,” he said, including Indian, Russian, European and U.S. vehicles. SpaceIL had previously considered flying as a secondary payload on a planned Russian lunar mission, he said, but the Ukraine crisis raised concerns about getting export approvals. Privman said some elements of the spacecraft design had to wait until the selection of the launch vehicle, since the interface of the spacecraft to the rocket is a design factor. The team is now working on the detailed design of the lander, and is farther along on other elements of the spacecraft, including its sensors and avionics. SpaceIL has raised about $40 million to date, with about 80 percent of that coming from two organizations: the Miriam and Sheldon G. Adelson Family Foundation; and the Kahn Foundation. Privman said SpaceIL will need to about $10 million more during the next 18 months to complete the spacecraft. “We are confident that this is achievable,” he said. Privman said the project is on track, technically and financially, to launch in the second half of 2017. “We believe it is challenging, but doable,” he said of SpaceIL’s schedule. SpaceIL is one of 16 teams remaining in the Google Lunar X Prize competition, which was announced eight years ago to stimulate development of commercial lunar ventures. The competition offers a $20 million grand prize for the first privately developed spacecraft to land on the moon, travel at least 500 meters across its surface, and return videos and other data. The X Prize Foundation, which is running the prize, said the contract was the first they had verified. That milestone allows the foundation to extend the competition’s deadline through the end of 2017. The prize would have expired had no team submitted a valid launch contract by the end of this year. That verification has two aspects, said Chanda Gonzales, senior director of the prize at the X Prize Foundation. One is financial — confirming that the contract is valid and that initial down payments have been paid. The other is to validate the technical feasibility of the proposed launch. Gonzales said the foundation worked with SpaceIL for several months to review its plans before signing off on their launch contract. “At the end of the day, we were able to verify and accept everything in the contract,” she said. 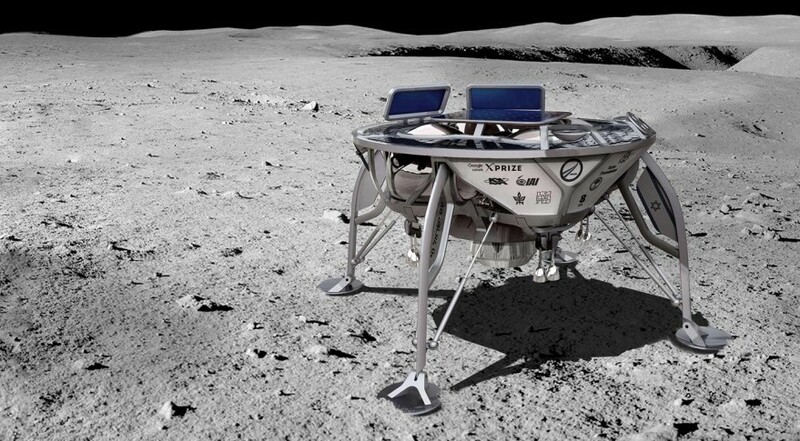 SpaceIL is not the only team registered for the Google Lunar X Prize to claim to have a launch contract. Moon Express of Mountain View, Calif., announced Oct. 1 that it had a contract with for three launches of the Electron launch vehicle under development by Rocket Lab. But with SpaceIL’s contract verified and the competition deadline extended, the other 15 teams have until the end of 2016 to submit their own launch contracts to remain in the competition. Gonzales said she could not estimate how many of those teams were likely to meet that deadline. “I am hopeful that we’ll have two, three or four teams,” she added. Weiss, though, said the prize was still supporting its commercial space goals. “There really is a serious effort to demonstrate that space entrepreneurs and the opening of markets is a way to do space,” he said.